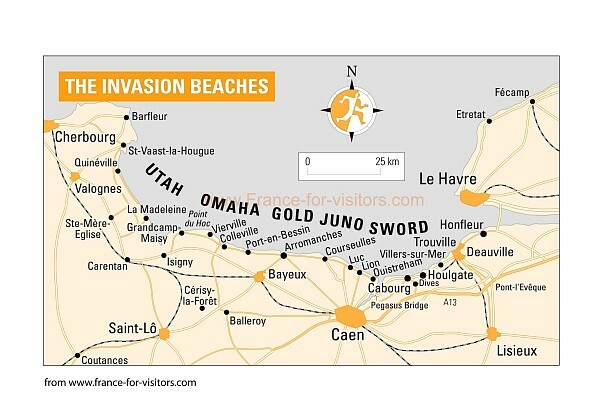 A day to discover Le Mémorial de Caen and the Landing Beaches. From the harbour in Arromanches to the Pointe du Hoc, taking in Omaha Beach. Follow your guide and learn the story of the day that changed the future of the 20th Century. 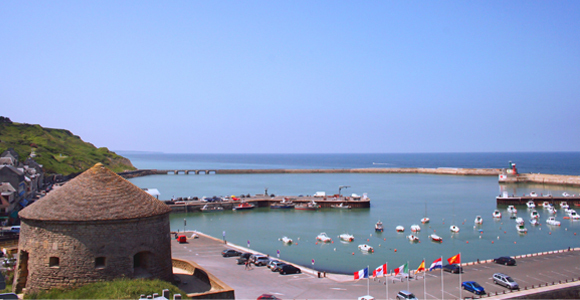 The extraordinary success of Le Mémorial de Caen lies in the initial resolve of its founder, Mr Jean-Marie Girault. With destruction wreaked across almost three quarters of this martyr city of the Liberation in the summer of 1944, Caen deserved a fitting tribute for the damage it suffered. And such a tribute was paid, but with the focus on what continues to be the Memorial’s running theme: reconciliation. This vocation, unique to Le Mémorial de Caen, will guide you through the museum’s different stages, taking you back over the 20th century. This chapter in global history opened in Sarajevo on 28 June 1914 with the assassination of Archduke Franz Ferdinand and partly ended on 9 November 1989 in Berlin with the “Fall of the Wall”. Between these two dates and between these two World Wars, some 60 million people would lose their lives and the most hostile of political systems to the key principles of respecting life would plunge the world into the chaos and brutality that characterized the last century. We are all heirs to this century whose memory we must keep alive at all costs. The memory of the people who suffered, the memory of ideas and the memory of sacrifices to save us from “man’s inhumanity to man”. Open: From 01 Apr. to 30 Sep.
- English guided tour* (5h. ), of the Anglo-American beachheads. The two are independent and can either be taken on the same day or on separate days. Since the advent of the Internet, we've all come to expect fast service from a range of companies that trade on the Net, which is great when booking a quick flight or a weekend getaway.